For over 20 years we’ve been connecting people – those who want to support valuable nonprofit activities with those who create and implement the activities. Personal testimony and sharing of experience are at the center of our focus. In addition to quality of human relations and communication, we are interested in the environment we live in. The Carpathian Mountains and the Danube river basin form the basic environment for our lives. Our long-term operations as a foundation constitute a fundamental pre-requisite for mutual trust of all interested parties. We are not only focused on private and public financing, but also bring together groups of extraordinary people who stand out for their deep knowledge and their actions. Our collaborators and advisors enable us to thoroughly understand the areas where we concentrate our energy. Thus, we are capable of focusing the attention of our donors and sponsors on truly meaningful activities. We intentionally connect people from diverse circles and professional backgrounds and thus achieve a new level of quality in our programs, as well as an element of surprise. We support those organizations, communities and individuals who approach us for support and share our goals and values. We implement our own projects as well, but always in cooperation with others. This is done, however, with the goal of anchoring our efforts in real interpersonal relationships and environments. We are not a foundation, which operates in a “hands off” way. On the contrary, we strive to be in the field as much as possible, to listen to people and evaluate the true potential and effectiveness of what we do. 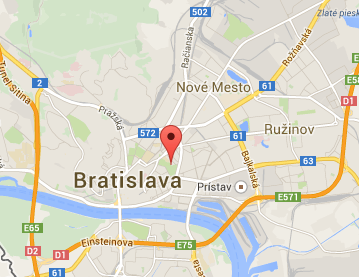 We’re based in Bratislava and operate in Slovakia. All our programs and projects have an international dimension. We do not perceive Central Europe, which appears in the name of our foundation, in a strictly geographical and political manner. We perceive it above all as an interesting space for grass-roots creativity, as a space full of precious cultural influences, as a challenge for cooperation between people from various cultures and natural environments. If our activities interest you, come join us. We welcome any expression of support, cooperation or interest from you. You will find more information about our program priorities here.